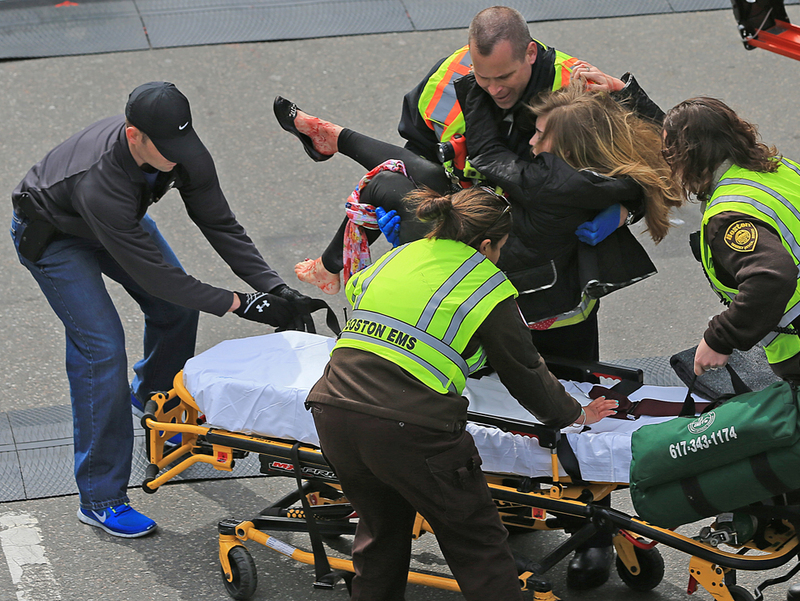 As the news headlines Boston's Marathon disaster I begin to wonder what will happen next. Knowing about what were are dealing with these days in the aspects of gun control, Korea threatening the U.S., and society finding ways to cope with financial difficulties it's apparent that we are living on some serious times as of right now. The photo above is one of the many photos curated in the Boston Big Picture website. It's an example of a surreal moment sporadically changing in a 1000th of a second. And of course this would be my expectations to how the general public would react. Let me tell ya... only one-side-minded asses would think this way. It's sad to know this doesn't surprise me.